A system of lifeless particles can become “lifelike” by collectively switching back and forth between crystalline and fluid states—even when the environment remains stable. Particles may be small, but in the field of physics, this is huge. Many living systems—from fireflies to neurons—switch behaviors collectively, firing on and then shutting off. But the current paper involved a nonliving system: Plastic particles, tiny as dust specks, that have no “on” or “off” switches. 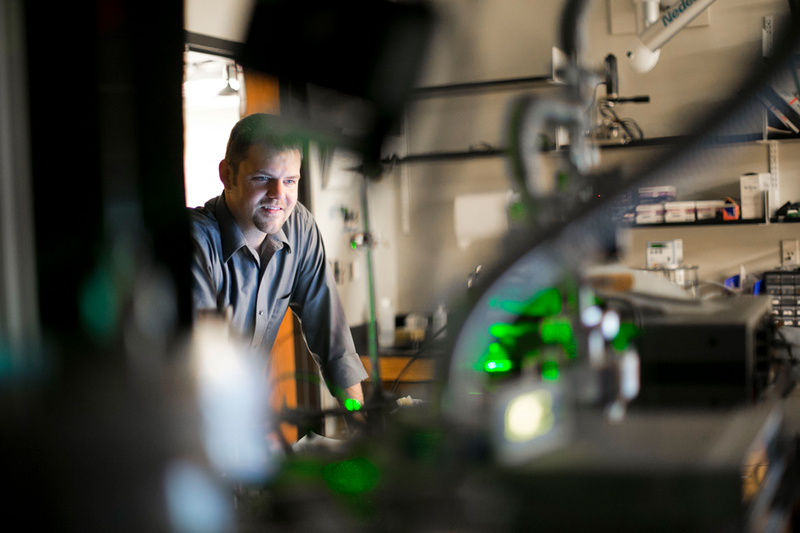 Burton’s lab studies the tiny, plastic particles as a model for more complex systems. They can mimic the properties of real phenomena, such as the melting of a solid, and reveal how a system changes when it is driven by forces. The particles are suspended in a vacuum chamber filled with a plasma-ionized argon gas. By altering the gas pressure inside the chamber, the lab members can study how the particles behave as they move between an excited, free-flowing state into a jammed, stable position. From anywhere between tens of seconds to minutes, the particles would switch from moving in lockstep, or a rigid structure, to being in a melted gas-like state. It was surprising because the particles were not just melting and recrystallizing but going back and forth between the two states. Gogia conducted experiments to confirm and quantify the phenomenon. The findings could serve as a simple model for the study of emerging properties in nonequilibrium systems.